Anyone who would like to beat insomnia needs to know that this battle has to be lead on many different fronts. Changing your diet is one of the most efficient ways to deal with this problem. Worry no more because we are here today to set things straight.All you need to do is keep reading and apply at least one of our 21 dreamy recipes each day. Seriously delicious dishes are ahead of us, so get ready to start drooling. Who do you want to prepare breakfast for? Do you want to cook lunch? Do you want to find out menu for dinner? We are jumping right in, with the best recipe in the whole batch. The two key ingredients of this dish – salmon and broccoli are full of tryptophan, magnesium, calcium and melatonin, a combo that is guaranteed to ameliorate your sleep. These substances promote natural melatonin production and deactivate adrenalin at the same time. Even though taking a nap after this kind of lunch seems to be “an offer you cannot refuse,” gather your strength and stay awake until the bedtime. If you combine this lunch with a sleep-enhancing drink for dinner, you will drastically increase your chances of having a good night’s sleep. 1 ¼ pounds of skinned wild Alaskan salmon fillet. Start by seasoning the salmon with a half teaspoon of salt and half the rosemary you prepared. Do this at least 20-60 minutes before cooking for optimal taste. Tip: Why does the salmon need to be skinned? As we know, the salmon skin comes with tremendous health benefits, so why would you toss it away and lose all of the beneficial Omega-3s? When you are struggling with insomnia, it is crucial that you stay away from methyl-mercury which can contribute to your sleeping disorder and cause many other symptoms such as tremors, emotional changes, changes in nerve responses and so on. 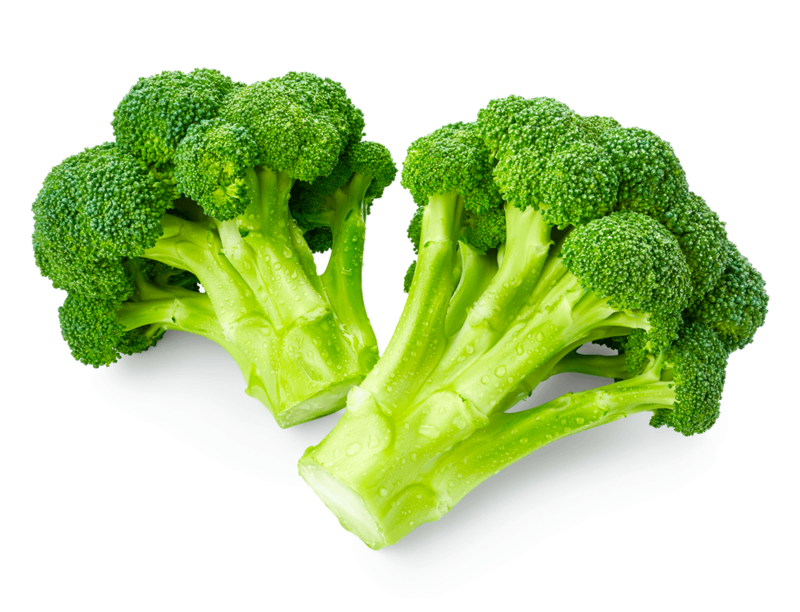 Cut the broccoli into pieces, so the stalks are 2 inches long. Use a vegetable peeler to remove the hardened outer layer of the stems and then cut the florets in half lengthwise. 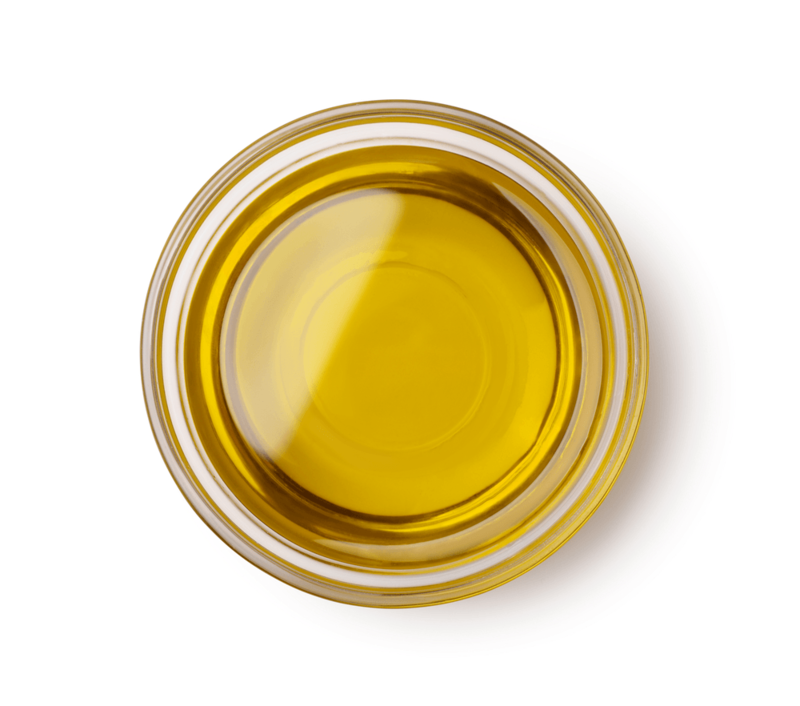 Take a large, wide saucepan and heat one tablespoon of olive oil in it, over medium heat. Add previously chopped onion and cook for 3-4 minutes, occasionally stirring, until it turns translucent. Add pine nuts, raisins, and the remaining rosemary. Cook while continuously stirring, for 3-5 minutes. 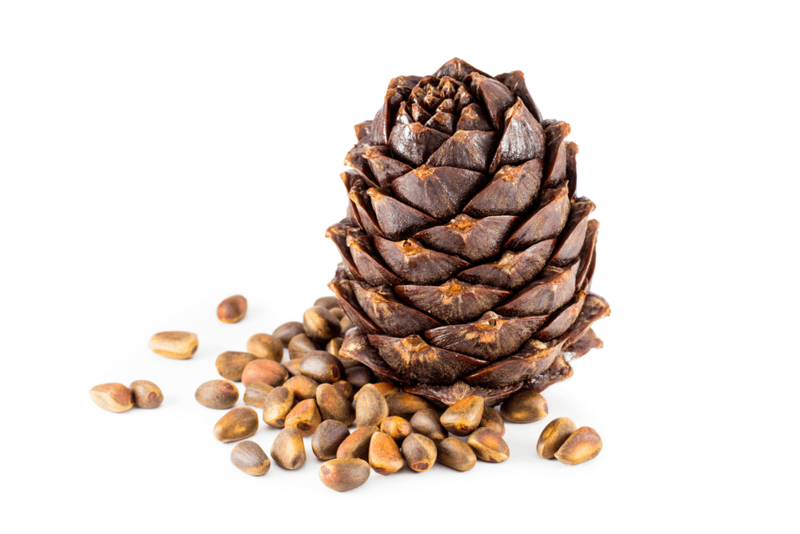 The pine nuts should become fragrant and begin to brown. Next, add the broccoli, season it with the rest of the salt and toss the pan to mix the ingredients. At last, add water and bring the whole mixture to boil. Reduce the heat to maintain a simmer and cook it for 8-10 minutes, until the liquid has almost evaporated. Don’t forget to stir it from time to time. In the meantime, take a large nonstick skillet and heat ½ tablespoon of oil over medium to high heat. Add the fish, skinned-side up, and cook it for 3-5 minutes, until it gets beautiful golden brown color. Then, turn the salmon over, remove the pan from the heat and let it stand for another 3-5 minutes. At last, place broccoli on the plate, top it with salmon, raisins and pine nuts. If there is any liquid left in the pan, you can pour it over the fish to make it even more succulent. Enjoy your healthy meal! 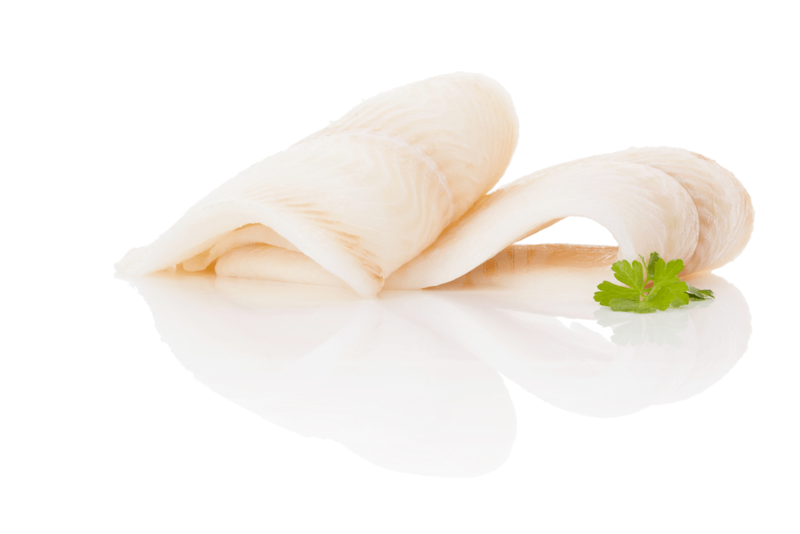 The secret of this soup is hidden in rice and halibut. 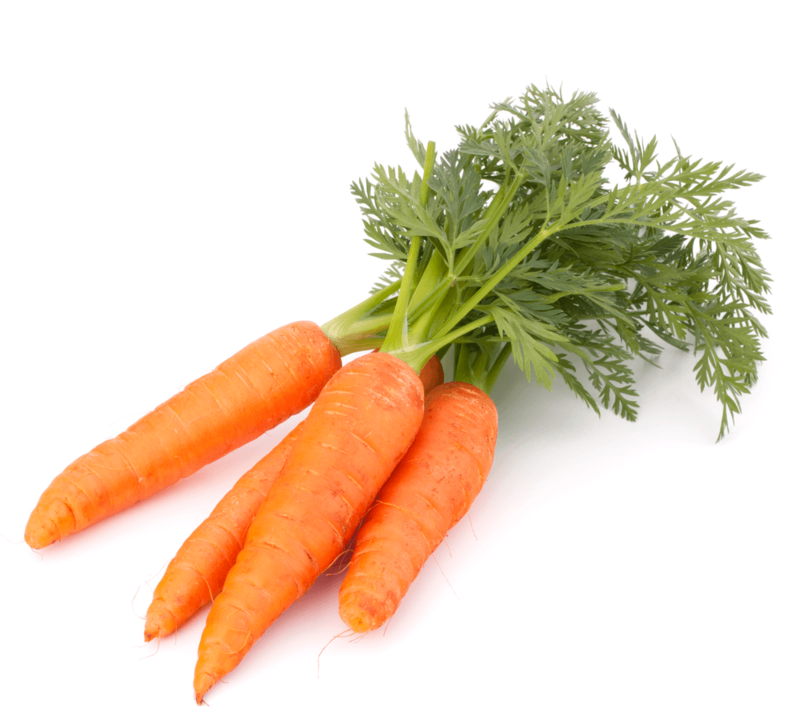 They contain tryptophan, magnesium, melatonin and vitamin B6. If you make this delicacy your favorite dinner, you can count on aid in the serotonin to melatonin conversion and protection from depression and other mood disorders. Staying asleep will become simple again, while counting sheep and tossing in bed will become a part of the past. The warm beverage will ensure calming effects, but you have to do your part too – make sure to eat your dinner at least 2-3 hours before bedtime. Soup is a liquid, and it will make you pee, which means it will interrupt your sleep if you eat it too late. 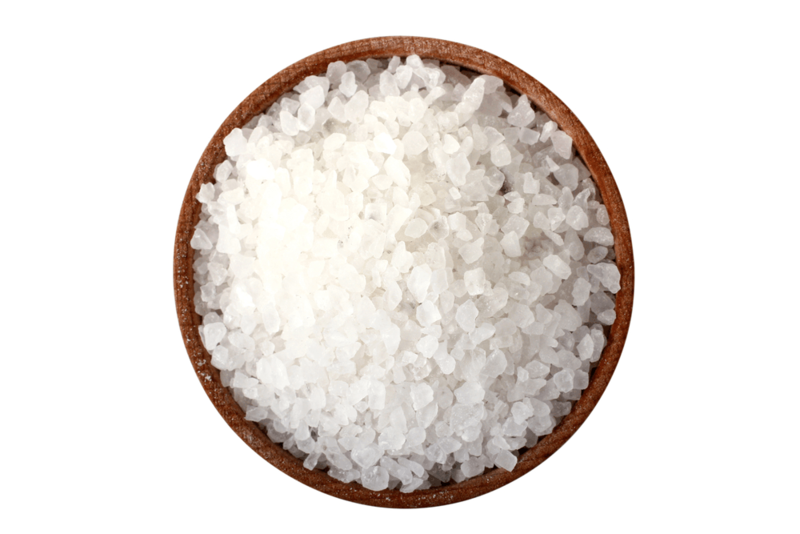 Tip for salt-lovers: Go with reduced-sodium broths and try to cut salt intake in general. Although, sodium doesn’t have a direct effect on sleep, it can cause hypertension and water retention which both affect your ability to sleep. 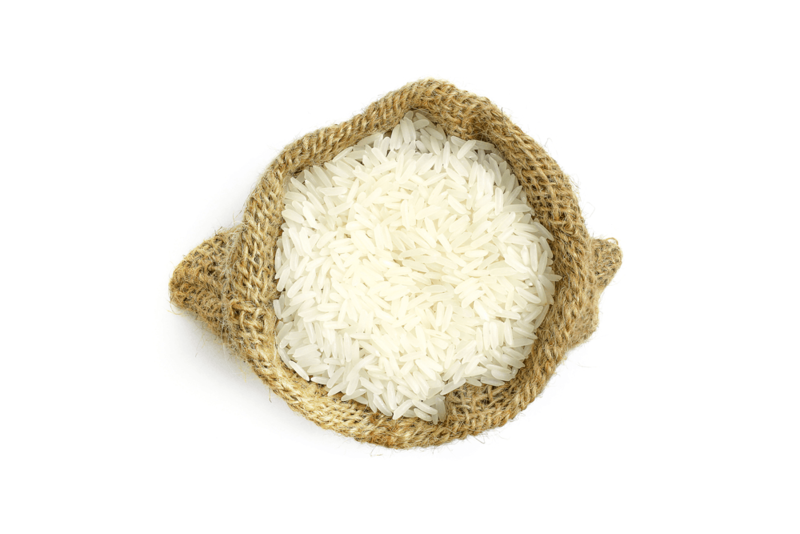 Get a medium saucepan and combine rice and water with it. Bring the mixture to simmer; cover the pan and cook for 20 minutes over medium heat, until the liquid is absorbed. Pour in the lemon zest and juice and stir. Meanwhile, take another medium saucepan and bring broth to a simmer over medium to high heat. As soon as it starts simmering, reduces the temperature, so the soup is only steaming. Add in the halibut and cook for 5 minutes until it becomes tender. Remove it from heat and break the fish into bite-size chunks. At last, when serving, put lemony rice into a bowl. Top it with fish, arugula, carrot, scallions, and mint. Take one cup of the warm broth and pour it into the bowl. Now, you are ready to have light and refreshing dinner. A glass of warm milk for better sleep is centuries old recipe. Your grandmother prepared it for you, and her grandmother did the same for her when she was a child. Some traditions are kept for a reason, so why not embrace them? 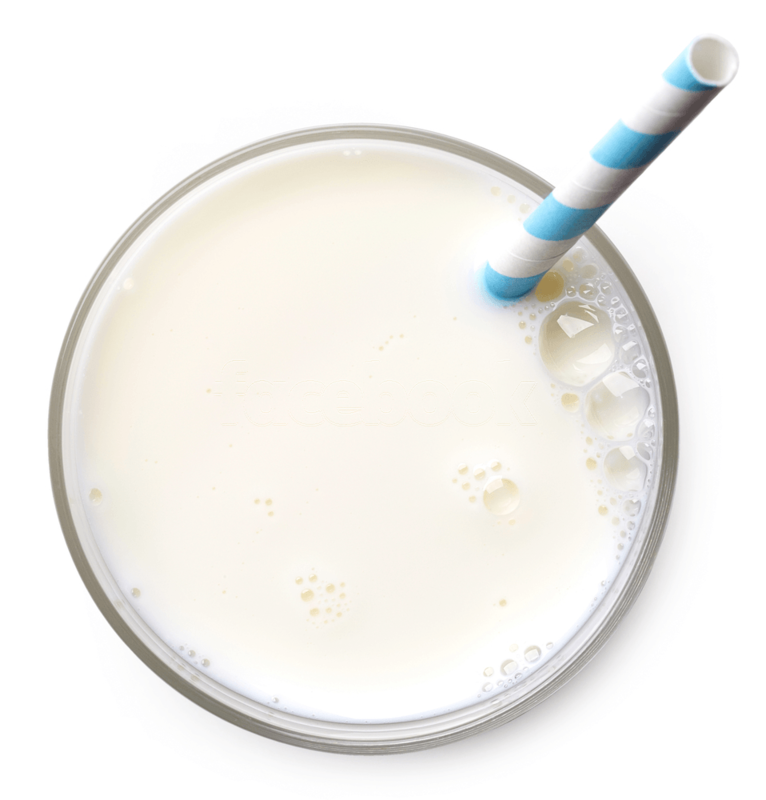 First, milk contains tryptophan, whose main role is to help you fall asleep. Second, warm milk, warms up the organism, helps muscles relax and slows down bodily functions. At last, there is a psychological side to this story - milk is associated with mother's love and care, so there is no wonder it is so comforting and soothing. However, we will be adding a few more ingredients to enhance milk’s benefits and turn it into a real sleeping potion. Adding lavender and chamomile buds into your milk might seem weird at first, but it makes sense. 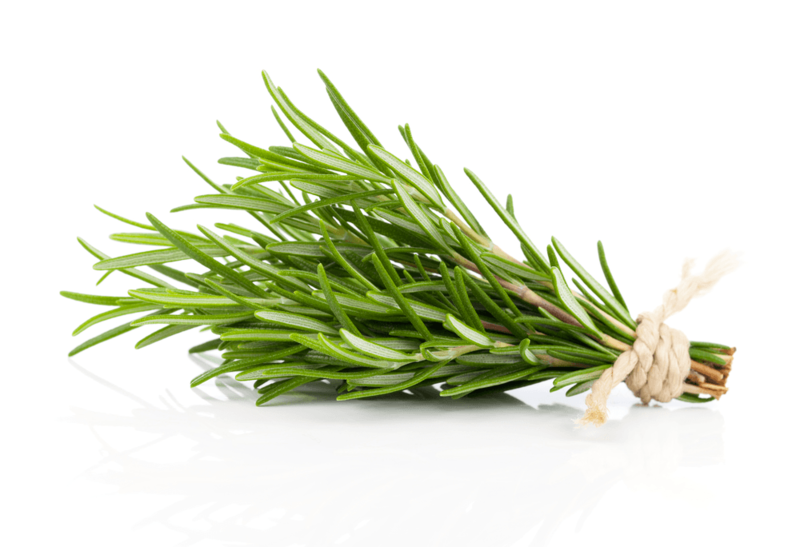 It is all about the scent, not the taste of these herbs. 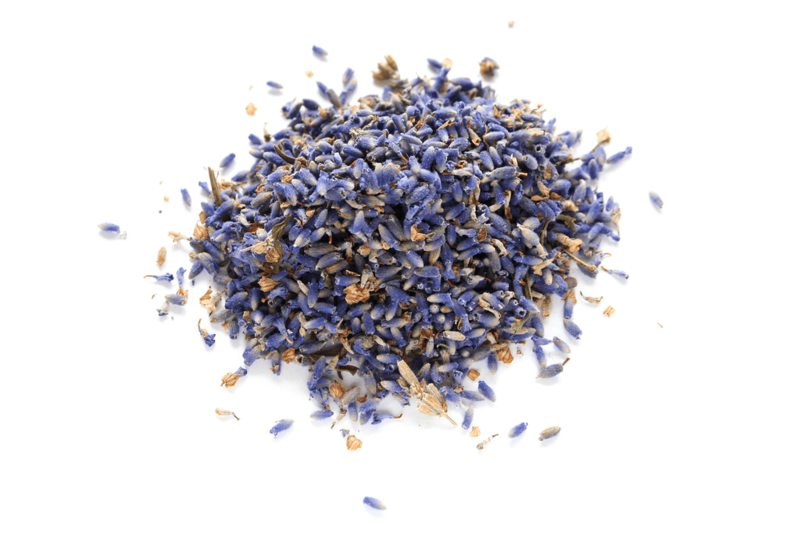 Numerous scientific studies had shown that lavender decreases heart rate and blood pressure, putting you in a relaxed, sleepy state. 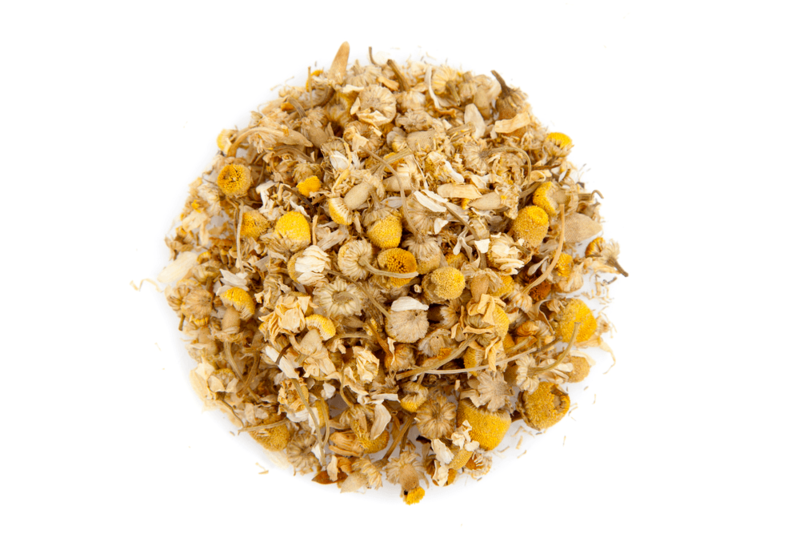 Chamomile, on the other hand, has a mild sedative effect which calms nerves and reduces anxiety. It helps with insomnia, even when this sleeping disorder shows up as a secondary symptom of some other medical condition, such as gastrointestinal and cardiovascular problems, colic or osteoporosis. Take a small pan and heat milk until it is very hot. However, be careful and don’t let it boil. Add the lavender and chamomile to the hot milk. Leave it steep for 5 to 10 minutes. Strain the herb-milk mixture into a mug. 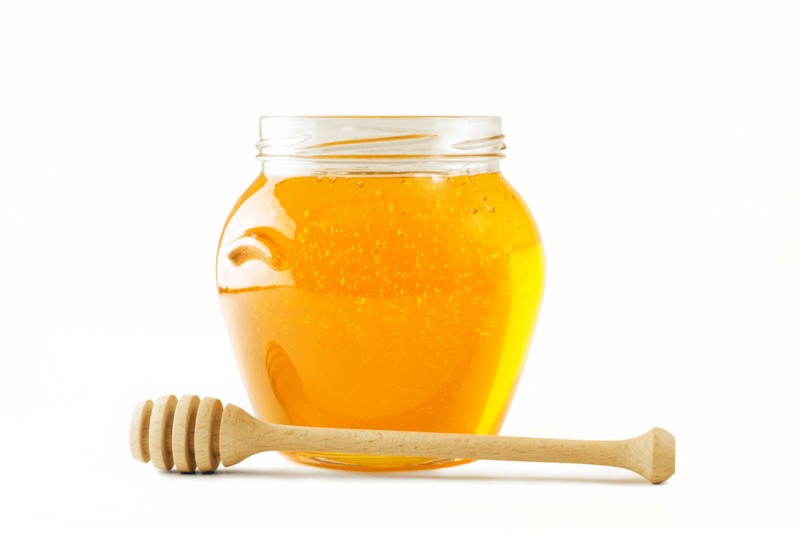 Sweeten the milk with raw honey or maple syrup as you like. In the end, add vanilla extract and serve warm. Want to make your whole family sleep better? Or you want to stay sleep-friendly during the festivities? Buy turkey meat! We take care of your needs, which is why we came up with a recipe that can be used for different celebrations and feed many guests. Turkey contains tryptophan which is well known to you by now. However, the story about turkey making you extremely sleepy after Thanksgiving is not entirely accurate. Tryptophan from turkey proteins will inevitably induce sleeping, but only if you eat it in combination with carbohydrates, so a slice of bread or a small bagel along with your meat will do the magic. Take the ingredients for the rub and place them in a bowl. Mix them all together until they form a wet, consistent paste. Prepare the turkey breasts and dry them using paper towels. Rub the mixture you previously made all over the meat, using the most of it for the sides and top. Put the onion, garlic, and thyme in the slow cooker, facing down. Place the turkey breasts on top of this. The meat should be a little elevated. Cook on low temperature for 6-7 hours. When it is done, remove the turkey from the slow cooker. Let it sit for at least 20 minutes. To crisp the skin, start by preheating the grill or the broiler to high. Prepare an oven shelf and place it 1 foot from the heat source. Take out the turkey breasts from the slow cooker and place them into a heatproof serving dish. Put the dish on top of the oven shelf and broil for 3-5 minutes. When broiling is done, the skin should be crispy and golden brown. Make sure to oversee it, because it browns very quickly! In the meantime, start preparing the gravy by straining the remaining liquid from slow cooker into a measuring jug and squishing the onions, garlic, and thyme to extract the flavor. Top that up with chicken broth/stock. 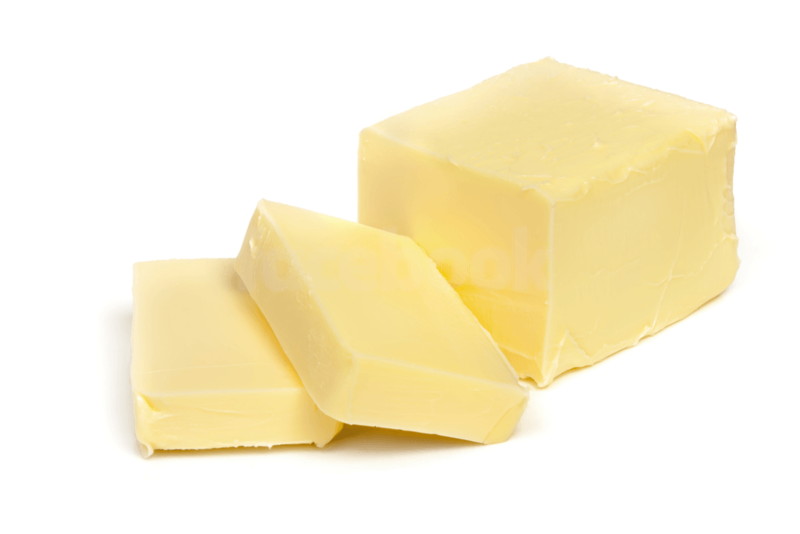 Place a saucepan over medium heat to melt the butter. Mix in the flour and keep stirring. Pour half cup of the liquid into this mixture and stir it until you get a nice paste. Slowly add the rest of the liquid, stirring continuously. If you need to make gravy smoother, use a whisk. Simmer until it is as thick as you want and take it off. Season the gravy with salt and pepper. Serve meat and sauce immediately. Pomegranate and walnuts, both full of melatonin with the addition of tryptophan and calcium-rich yogurt, will help you regulate your sleeping cycle in no time. This healthy and delicious dish won’t make you instantly sleepy, which is why it is ideal for breakfast, but it will promote the natural melatonin production. Friendly Warning: This dish is so easy to make that many people feel tempted to use it for a quick dinner instead. Don’t do it. 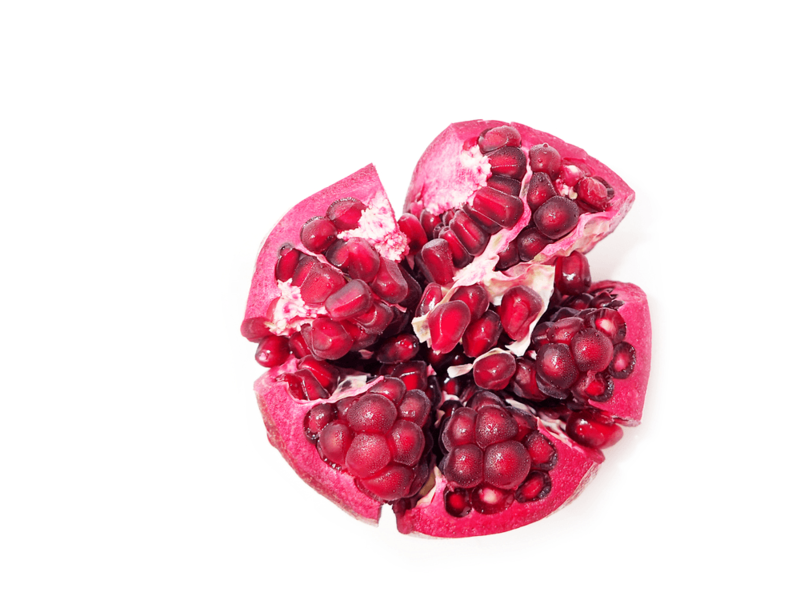 Greek yogurt, walnuts, and pomegranate are full of protein which will keep you awake. For ideal, sleep-inducing dinner go with carbohydrates instead. Take the pomegranate and cut it in half. Use a small fork or a spoon to remove the seeds and place them in two serving-size bowls. Top the pomegranate with a large scoop of Greek yogurt. Sprinkle chopped walnuts over the yogurt and then add a tablespoon of honey, if you like. Mix all of the ingredients together and you are ready to start your day with a delicious meal. 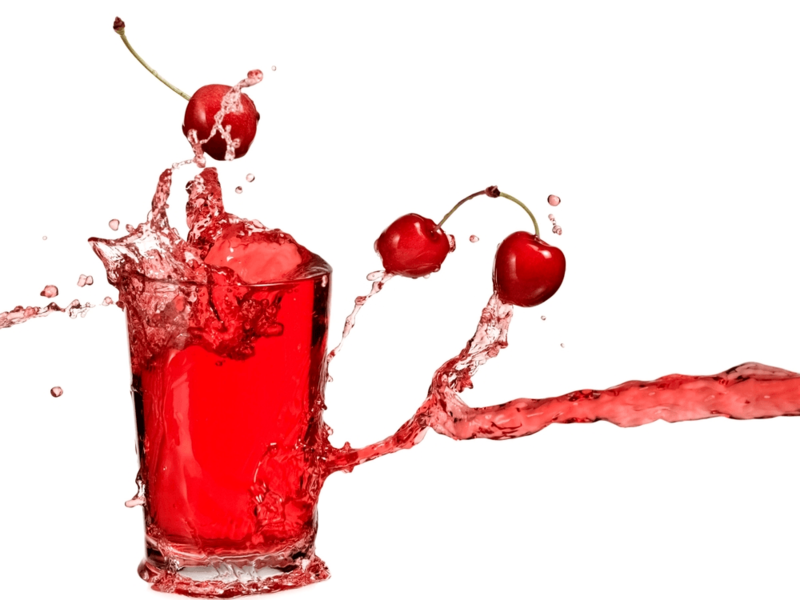 This fancy looking pink drink, which even vegan insomniacs can use, has two unique beneficial ingredients - Montmorency tart cherry juice and Ashwagandha powder. Once you start using it, it should bring you many health benefits, calming your nerves, lowering blood sugar and cortisol levels and most importantly, giving you up to 84 extra minutes of sleep every night. As a bonus, you can make it in not more than 5 minutes! 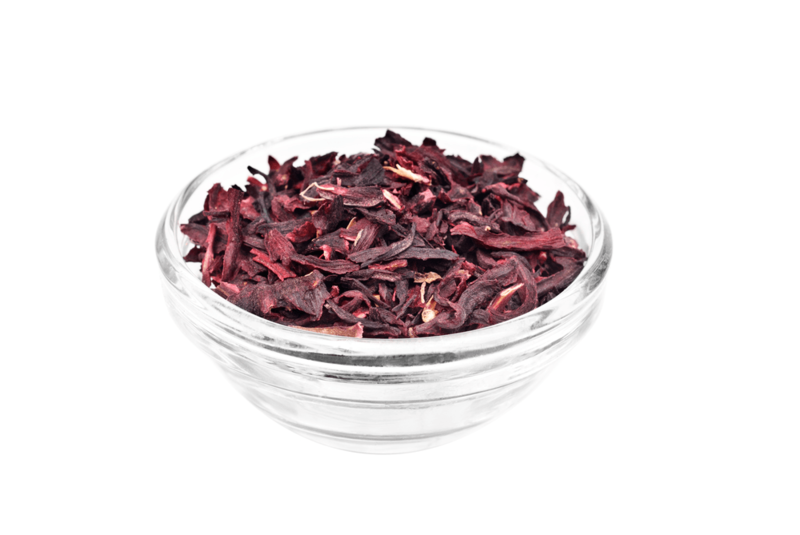 Dried culinary rose petals for aroma. Take a small pot, place it over low heat, and add almond milk and tart cherry juice in it. Just heat the mixture, but don’t let it boil. 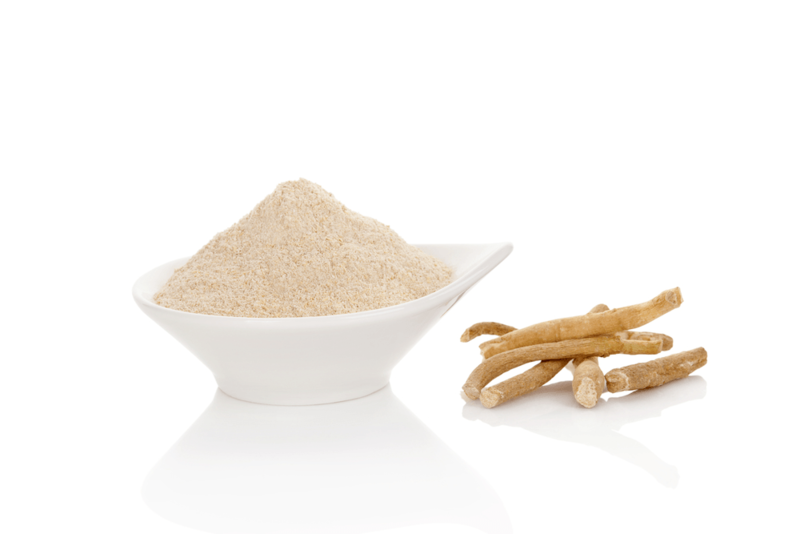 Remove the pot from heat, whisk in Ashwagandha powder and honey or maple syrup. If you like extra foam, you should use a blender to mix these ingredients. Once everything is thoroughly mixed, top it with dried rose petals and drink warm. If you read our recipes thoroughly, you must have caught one of the most important advice we shared with you – dinner is the time for carbohydrates. Of course, junk food won’t do you any good, so pizza is off the list, but this healthy combination of gnocchi and different vegetables is a perfect choice. Spinach and chickpea contain tryptophan, vitamin B6, magnesium, potassium, and calcium – all of these substances play a significant role in sleep health promotion. If you are using frozen gnocchi, look for the directions on the package and cook it in a large pot of boiling water accordingly. Once gnocchi is done, drain, rinse and pat it dry. On the other hand, if you are using shelf-stable gnocchi, you will skip this step. Heat one tablespoon of olive oil in a large nonstick skillet. Medium heat should work perfectly. Add gnocchi to the pan and cook, stirring often. Once they start turning brown, which will happen after approximately 5-7 minutes, remove them from heat and transfer to a bowl. Add the remaining olive oil, squash, garlic, and shallots to the pan and cook while stirring, for 2 minutes. Stir in vegetable broth, currants, pepper, and sage. Bring the mixture to a boil. 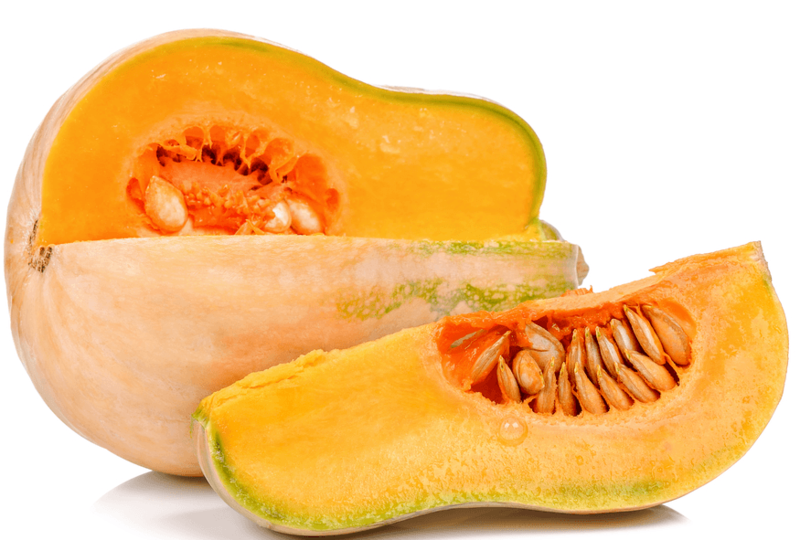 Lower the temperature to maintain a simmer and cook, continuously stirring, for 6-8 minutes, until the squash is nearly cooked through. Add chickpeas, spinach and gnocchi and cook, stirring, for about 2 minutes, until the spinach is done. Sprinkle the dish with balsamic vinegar, and the dinner is ready. You must have heard by now that bananas are sleep beneficial. However, relaxation is usually a job for a warm drink, not a nut-butter bagel. Well, we like to think outside the box. Bananas are an excellent source of potassium and magnesium, which are natural muscle relaxants. They are also rich with the amino acid L-tryptophan, that get converted to 5-HTP in the brain, and then to serotonin (which is a relaxing neurotransmitter) and, at last, to melatonin. 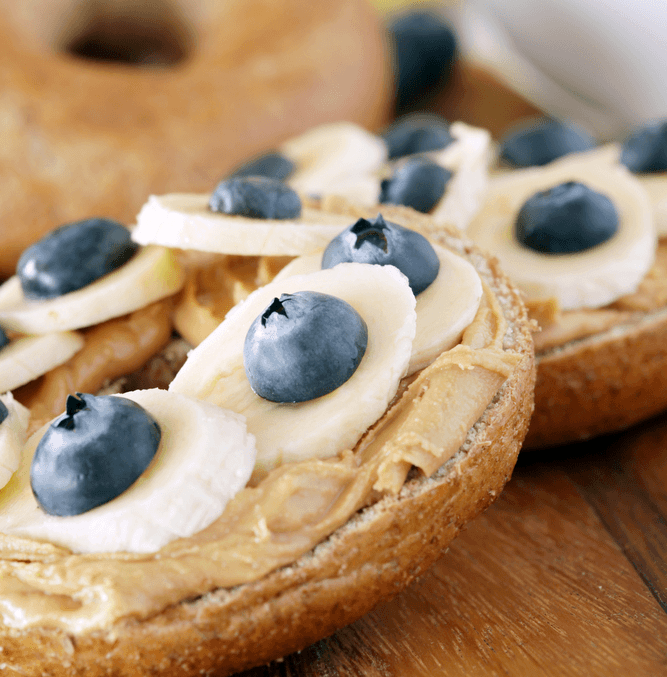 Nut butters also contain tryptophan, while bagels are made of carbohydrates which are responsible for speeding up this process. So, science says – for sweet dreams, eat healthy sweets. 1 split and toasted whole-wheat bagel. Diet Tip: If you are trying to lose weight and want to cut the number of calories, use two teaspoons of nut butter, instead of two tablespoons. The taste will remain the same, and the dish will become diet friendly. Take a small bowl and stir in the nut butter, honey and a little bit of salt. Divide the mixture and spread it on both bagel halves. Top that with banana slices and your healthy breakfast will be ready. You might not be the fan of kale, but you have to admit it is crazy healthy. Just like spinach, and other leafy greens, kale can be your savior when it comes to sleep. If you include it in your diet and combine it with healthy sleeping habits and regular exercise, you shouldn’t have any problems. Calcium deficiency may cause sleeping difficulties, and kale can solve that. Other than that, it is packed with numerous vitamins and minerals such as vitamins A, B6, C and K, potassium, magnesium and even iron. Tip: Herbicides, pesticides, and other toxins can be the cause of your insomnia. To eliminate this potential factor, we recommend using organic ingredients in all of your recipes. Start by massaging the kale with a bit of sea salt, olive oil, and lemon juice. Let it sit like that while you prepare the rest of the veggies. It will be much tastier if you use kale this way instead of plain and raw. Take a large bowl and place kale and eggs in it. Turn on your stove on medium heat and use a large skillet to cook bacon, until it becomes crispy. Leave the bacon fat in the skillet. Transfer the bacon to a plate lined with towel paper. Once the bacon is cool enough, chop it into bite-sized pieces. Add olive oil and chopped onions to the pan and cook, continuously stirring, for about 2 minutes. Add mushrooms and keep stirring for 2 more minutes, until they are softened. Once the mushrooms are ready, remove the pan from the heat and stir in mustard, vinegar, salt, and pepper. Pour the mushroom mixture over eggs and kale. Add the bacon to the bowl and toss to combine. Bon Appétit! Think of all the troubles you are struggling with, due to insomnia. Your body is not functioning as it should. Your immune system is endangered, you feel edgy and tired all the time, and even your stomach acts up more often than usual. 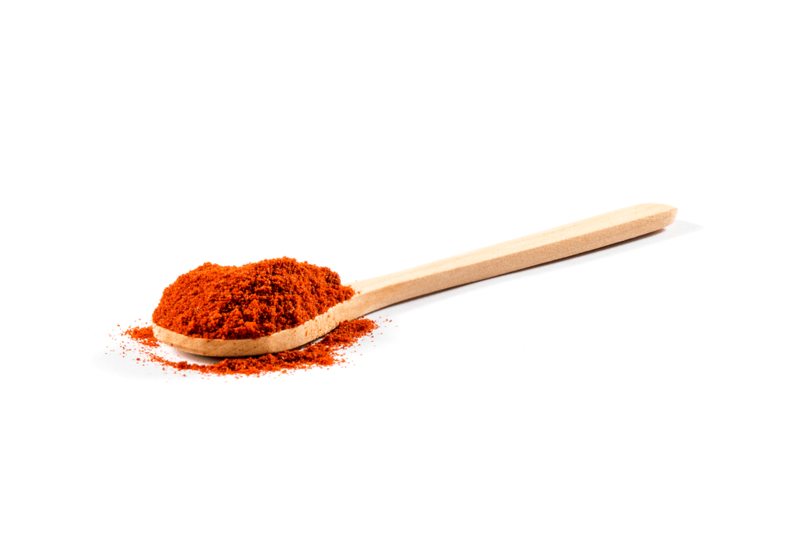 Luckily, we are here to introduce you to turmeric. 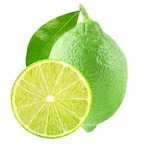 In general, it works like a great liver detoxifier, reduces inflammation, lowers blood sugar levels, boosts your immune and soothes the digestive system. Once your organism is “refreshed” like this, you can fall asleep faster, sleep better, and wake up feeling rested. We already talked about the calming effects of chamomile tea, so you can only imagine how miraculous it is when combined with turmeric. Recipe Tip: Even though peppercorn might seem like an odd choice for this drink, don’t hesitate. Trust us; it is here for a reason. 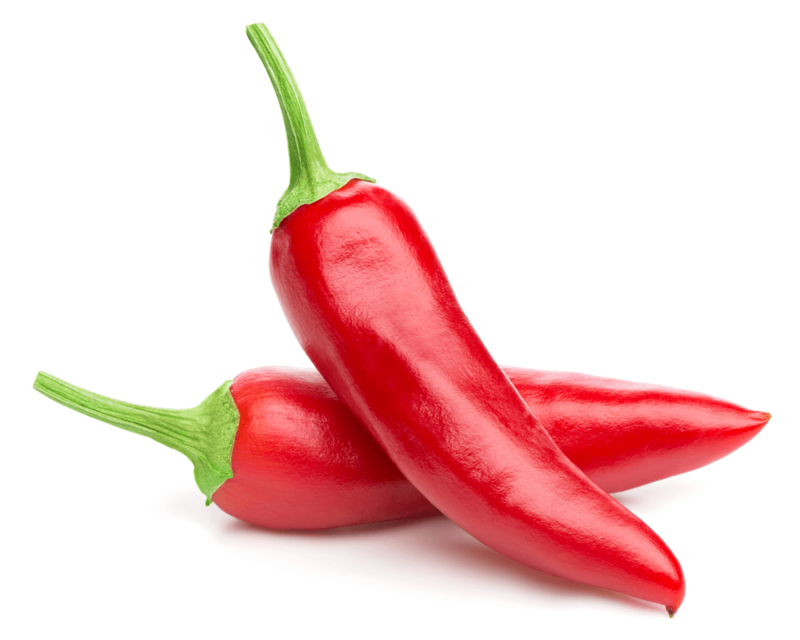 Pepper appears to give turmeric the kick it needs to achieve the best results, think of it as a turmeric amplifier. Take the mortar and add in the Ashwagandha, cardamom, cinnamon, grated ginger, nutmeg, peppercorns, turmeric and at last - coconut oil. 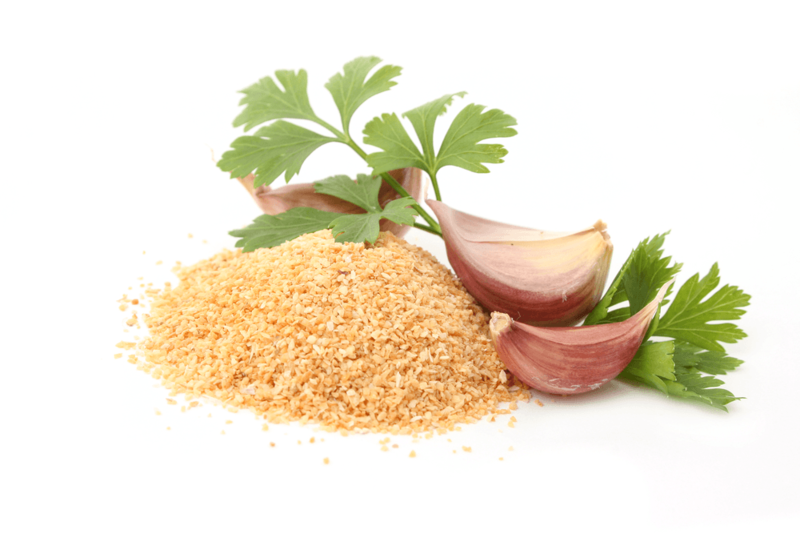 Use a pestle to mix all of the ingredients to make a paste. If the mixture is too dense, add one or two teaspoons of chamomile tea. Once the paste is ready, divide it into two mugs, and pour over chamomile tea and almond milk. 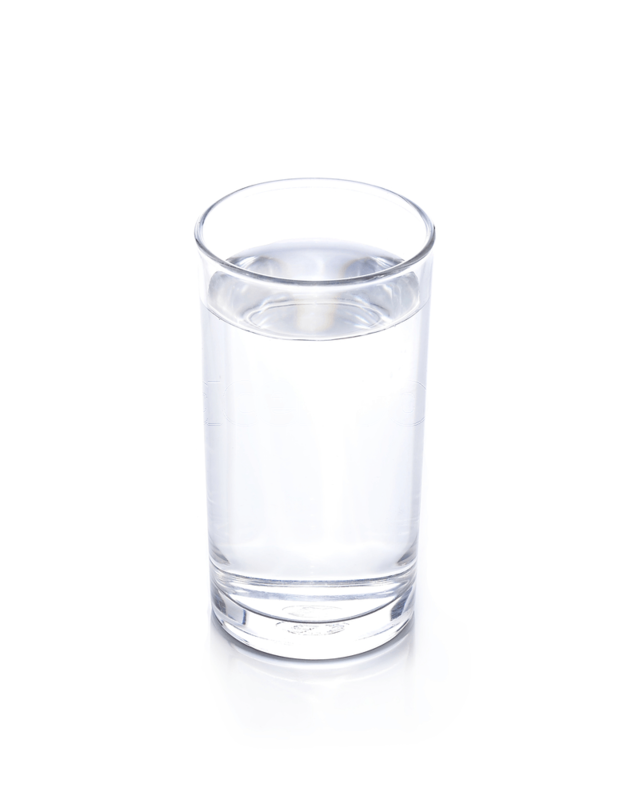 Bot liquids should be hot. Add honey or maple syrup if you are aiming for a sweet beverage. Mix everything to combine and serve warm. Tea is always a good idea. Especially if you are struggling with insomnia. If you would like to avoid medication, many herbal remedies can help you with your sleeping issues, and they usually come in the shape of warm, aromatic tea. 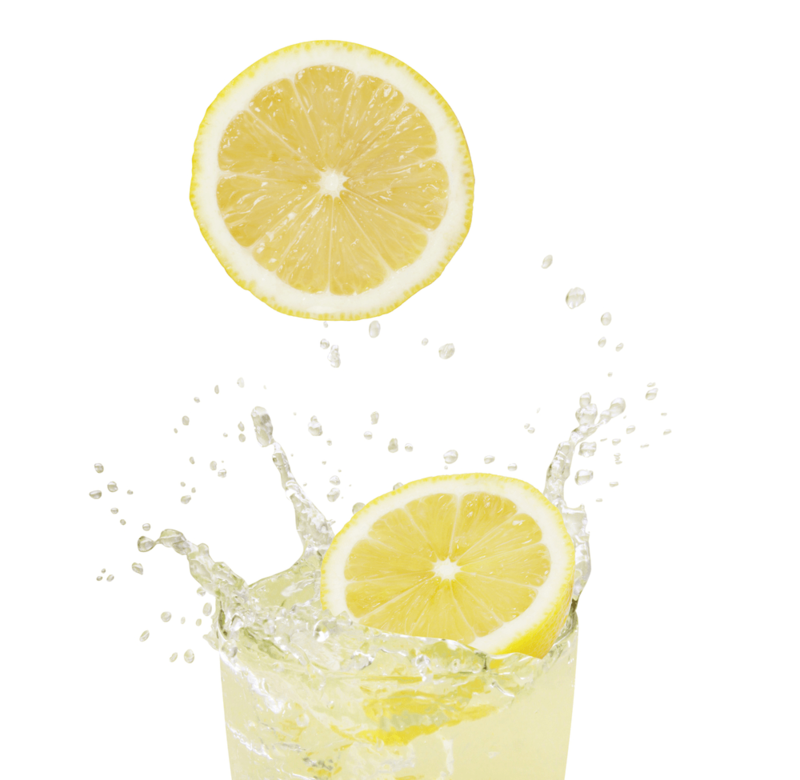 Though you probably imagine some pungent or tasteless drink, we are here to prove you wrong. What makes this tea special are bananas, ginger, and anise star. Ginger root is undeniably efficient with nausea, morning sickness, dizziness, and headaches, but its sleep induction properties work only for some people. However, it does stimulate serotonin production and therefore, relieves anxiety and enhances relaxation. In combination with star anise, which is not as potent as valerian but definitely has sleep-inducing effects, it should improve the overall quality of your sleep. Warning: Anise star should be consumed in minimal amounts. Be aware that you must not confuse it with Japanese star anise that is highly toxic. Step 1: Prepare a medium saucepan and place all of the ingredients in it. Bring the mixture to boil over medium heat. Step 2: Let the tea simmer for 10 minutes, remove it from heat, strain and drink while it is warm. 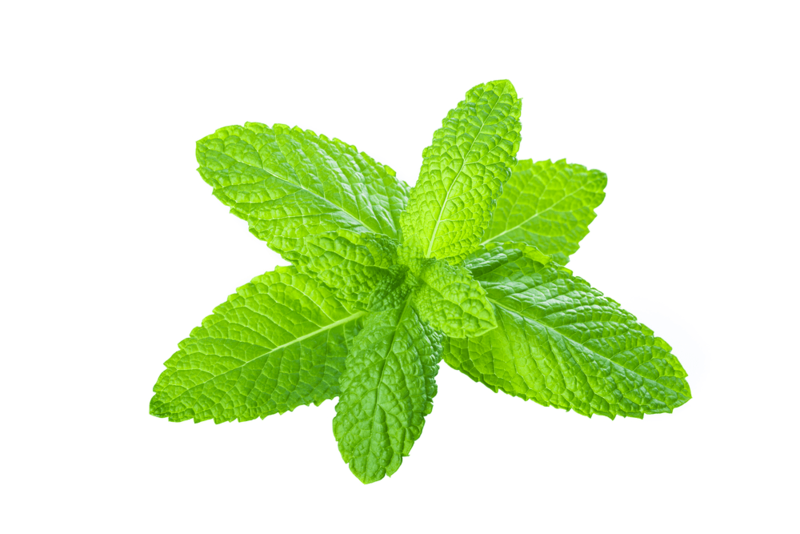 If you prefer traditional recipes over exotic combinations, peppermint tea is the right choice for you. It has been used for centuries as an efficacious treatment for various health problems, such as stress, lack of concentration, stomach aches, diarrhea, constipation, sinus pressure, common cold, skin irritations and at last sleeping disorders. This is the most straight-forward recipe we will give you, but you can always add a little twist to make it more interesting. 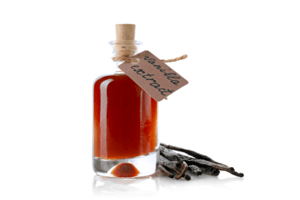 Some people prefer to combine it with chamomile, while some like to add a little bit of vanilla to change its taste. You can use it both hot and iced, but as sleep induction is our priority, the recommendation is to stay with warm options, as the temperature of your beverage can also have a soothing effect. 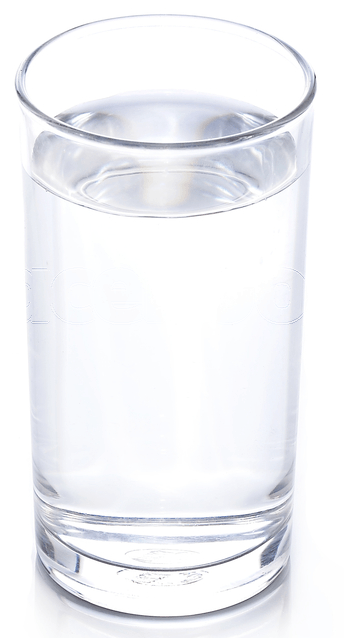 Take a large pot and pour 3 or 4 cups of water in it. Turn on the stove, and let it boil. Add the peppermint leaves and turn the heat off. Let the tea steep for 5 minutes or a bit longer if you are aiming for a stronger taste. Pour the liquid through a tea strainer. Add raw honey, if you like and pour the tea into cups. Your sleep inducer is ready. The equation you see above is ideal for a meal that is supposed to help you beat insomnia. 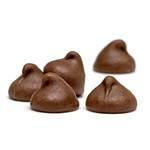 However, as we already wrote about health benefits of all of the listed ingredients, we won’t be repeating ourselves. Anywise, you might notice this dish requires a lot of preparations, which might not be so convenient for a breakfast recipe. Fortunately, both braised greens and bean spread can be prepared in advance and used for several days in a row. If you place them in separate, covered containers and refrigerate them, you will be able to store them for up to 3 days. Start by preparing braised greens. First, strip leaves from the stalks. Stack the leaves and slice them into 1-inch strips. Then, proceed to thinly slice the stems into smaller, ¼-inch pieces. Keep the leaves and the stems apart. Take a large Dutch oven and heat 3 tablespoons of olive oil in it, over medium heat. Add sliced leeks and chopped stems and cook while stirring for 4-5 minutes, until they soften. Stir in ¼ teaspoon of pepper, salt, and red pepper. Mix in the sliced greens and add the vegetable broth. Reduce heat to low, cover the pot and cook for 20-25 minutes, until the greens are tender. Make sure to stir occasionally. Lift the lid. If you notice any liquid in the pan, continue cooking for few more minutes, until it is nearly vapored out. Meanwhile, you can prepare the bean spread. 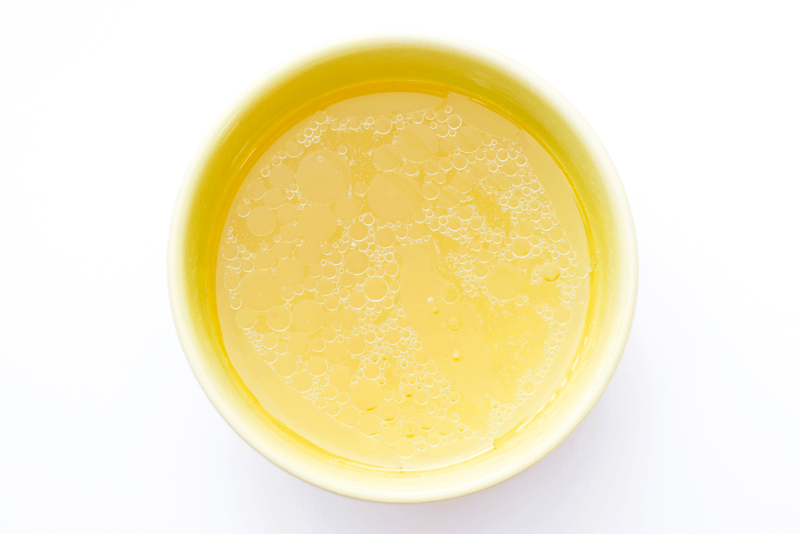 Place a saucepan over medium heat, and add 2 tablespoons of olive oil. Bring in the onions and garlic and cook for 2-3 minutes, stirring from time to time, until the veggies become tender. 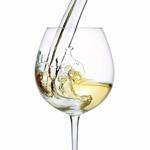 Pour in the wine and keep cooking for another 3-6 minutes, until the most of it evaporates. Stir in beans, salt, and pepper. Cook for another 1-2 minutes. Use a food processor to puree the bean mixture. In the end, it should be almost smooth. To get the Panini ready, use cooking spray to coat one side of each bread slice. Sprayed side down, spread the bean puree on six slices. Top each slice of bread with the braised greens. Place the remaining pieces of bread on top of that, sprayed-side facing up. Use the Panini maker to press the bread. The dish is done when every portion becomes hot and crispy. Have you ever tried to combine canned tuna with potatoes, artichoke, provolone cheese and basil? No? Well, even though this unusual combination might seem like a Hail Mary in insomnia combat, it is surprisingly delicious. 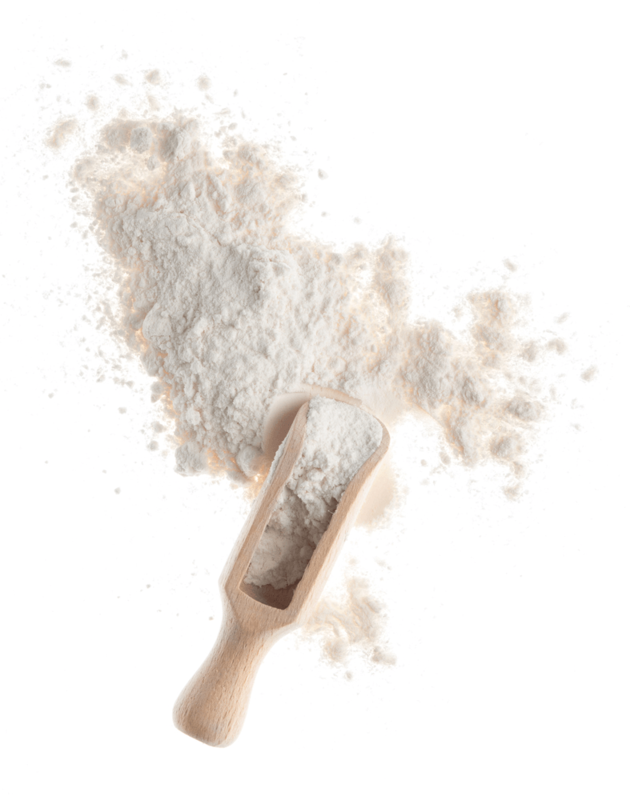 It includes a significant number of tryptophan and magnesium sources. Magnesium deficiency is known to cause troubled sleep and insomnia. If you are suffering from such condition, you should check yourself for diabetes and digestive diseases. However, tuna intake can help compensate for the lost magnesium. Also, tuna is rich in vitamin B6 which helps your body produce melatonin. So, consider this odd meal once again. ½ cup and 2 tablespoons of fresh basil. Take the potatoes and pierce them all over using a fork. Microwave potatoes on medium heat for about 20 minutes, until they are soft. Remember to turn them once or twice, so they get cooked evenly. If your microwave offers such option, use the "potato setting." In the meantime, combine tuna with yogurt, basil, scallions, chopped artichoke hearts, capers, salt, and pepper. Use a large bowl to do so. Once potatoes are cool enough to handle, cut off the top third from each one. Use a spoon to scoop out the insides. Mix scooped potato insides with the tuna. Prepare a microwave-safe dish and place the potato shells in it. Use a fork or the potato masher to mash the tuna-potato mixture together. Divide the mixture among the potato shells and top it with cheese. Place the dish back into the microwave and turn on the high heat. Let it cook for 2-4 minutes until the cheese is melted and filling is hot. Top each potato with remaining basil and a little bit of tomato. Your lunch is ready to be served. We can bet that you’ve searched the internet for insomnia beating recipes. In most of the cases, you ended up with the ingredients that you should eat, and the ones that you should avoid, but no actual recipes for sleep-friendly dishes. Okay, no proteins before bedtime, no junk or spicy food, less sugar, no hidden caffeine sources and that’s it. Seems simple, but it is not. Especially when you have a sweet tooth. When such situation happens, it is the right time to turn to homemade granola. 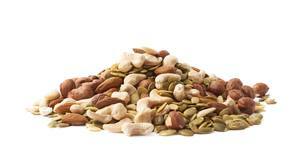 Oats are full of melatonin and tryptophan, and so are all kinds of nuts. The trick is, you can choose and add your favorite ingredients, with no strict limitations. Tip: No fruit you add in the granola will do you any harm. However, certain fruits can do more good than the others. 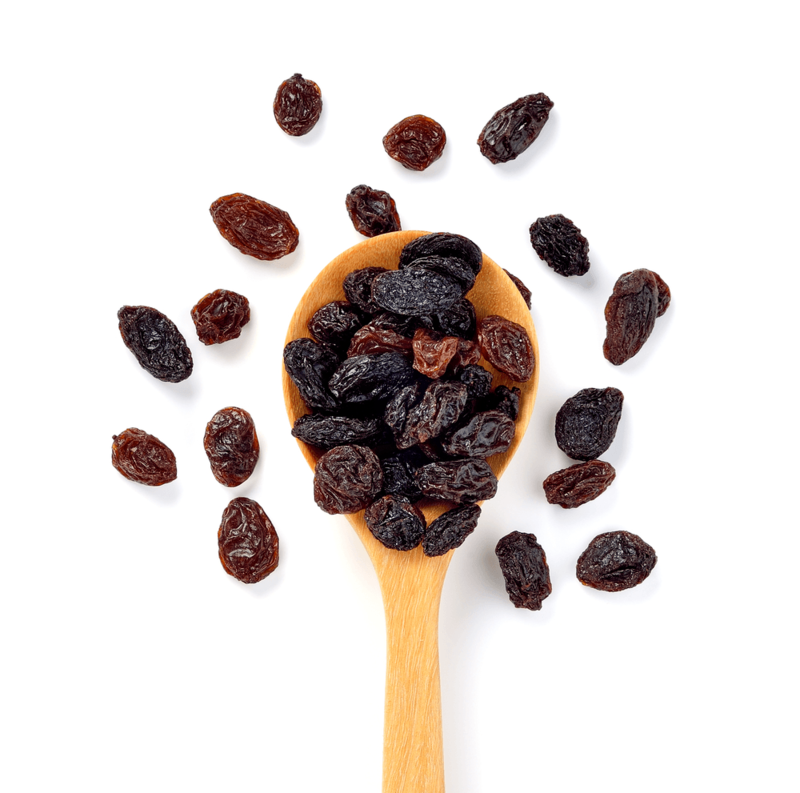 For optimal results, choose bananas, tart cherries, pomegranate, grapes, apples, and peaches. Preheat your oven to 350◦ F and use a parchment paper to line a large, rimmed baking sheet. Take a large mixing bowl, throw in the oats, nuts, seeds, cinnamon, and salt. Stir the mixture to blend it together. Add the oil, maple syrup or honey and vanilla extract. Mix ingredients well, until everything seems lightly coated. Pour the granola into the pan. Take a large spoon and spread the granola to form an even layer. Place the pan in the oven and bake for 21-23 minutes until granola turns to gold. Stir halfway. You don’t have to worry if it doesn’t seem crispy enough once you take it out of the oven, it will further crisp up on its own as it cools. Let it cool completely, before breaking it into pieces. Then stir in the dried fruit and chocolate chips or coconut flakes. You can store the granola in airtight containers at room temperature for up to 2 weeks. If you choose to store it in sealed freezer bags in the freezer, it can last up to 3 months. 16. Coconut Milk Quinoa – Want to sleep? Eat quinoa. Want to sleep? Avoid quinoa. Admit it; this title is confusing. Let us clear that up for you. Simply put, you should eat quinoa, it is sleeping beneficial, and that is the reason why it found its place on our insomnia battling food list. This seed is a complex carbohydrate that releases insulin into the organism, and insulin is required to transport tryptophan to the brain. 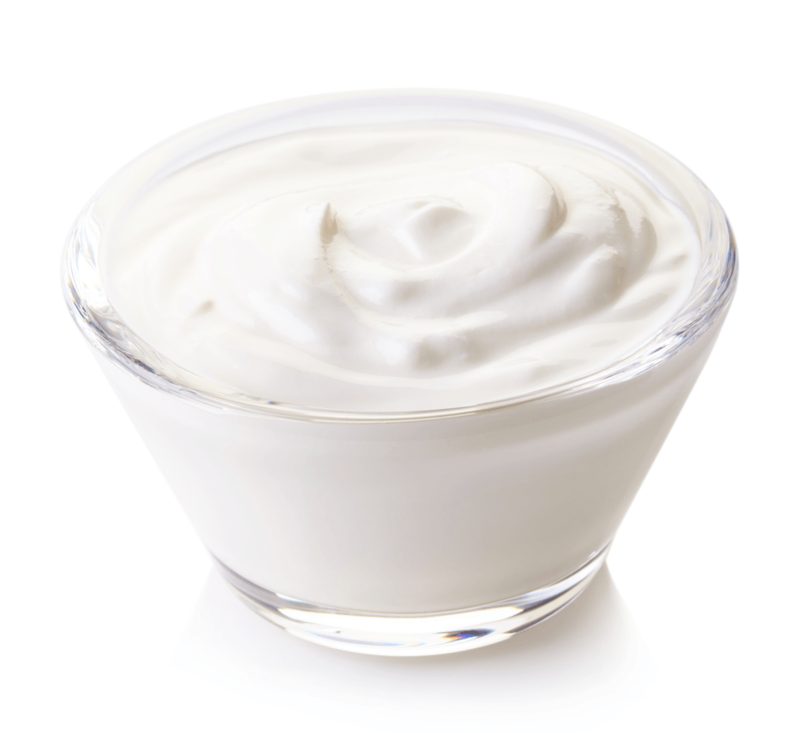 Also, it has high magnesium and protein content, which makes it a potent relaxant. Here’s where things start to be complicated. High protein levels are not good for your sleep. They will keep you awake at night, but, only if you eat them for dinner. Starting your day off with protein bomb like this one will only make you feel more energized. So, as long as you stay with quinoa as breakfast choice, you will benefit from it. Take a small saucepan and combine coconut milk, quinoa, cinnamon and vanilla in it. Bring the mixture to a boil. Reduce the heat to a simmer, cover with a lid, and let it cook for 15 minutes. You will know the dish is fully cooked when you can fluff quinoa with a fork. Divide quinoa mixture into two separate bowls and top it with bananas and pecans. Drizzle it with a few drops of coconut milk. Your exotic breakfast is made. If you prefer salty over sweet breakfast and you just started to worry there won’t be anything suitable recipes for your mornings on this list, keep reading. The fact is, oatmeal is usually cooked to be sweet or neutral, but why not make it salty and embrace its sleep beneficial properties at the same time? As you know, oatmeal is rich in melatonin, it triggers insulin production and offers enough energy to start your day, even if you haven’t had your good night’s sleep. Take a large saucepan and combine the water and milk in it. Simmer a mixture over medium heat. Meanwhile, place a 12-inch skillet over medium heat to melt the butter or warm up the olive oil. 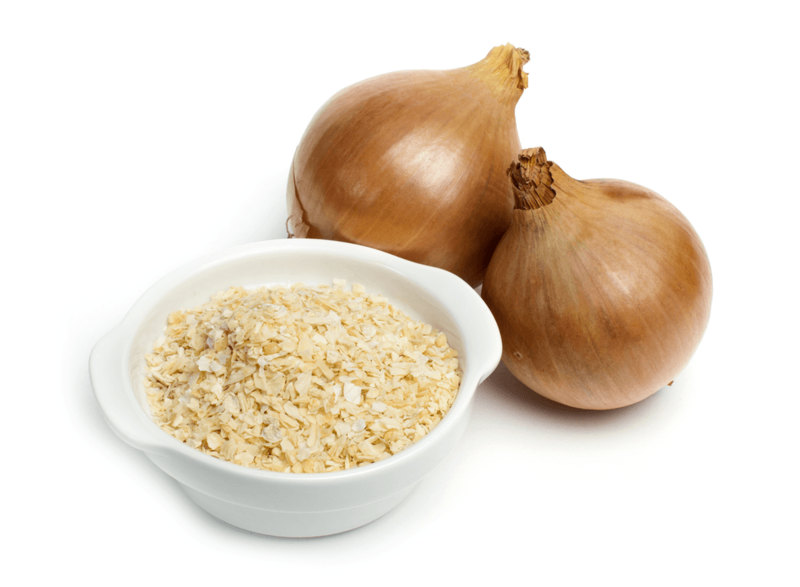 Once it is sizzling/shimmering, add the oats and cook for about 2 minutes. Stir occasionally. You will know the oats are ready when they become golden and fragrant. Add the oats to the simmering water and milk mixture, while continuously stirring. Reduce the heat and simmer for about 20-25 minutes. Stir occasionally. The mixture should become very thick. Add the salt and continue to simmer in the same manner for another 10 minutes, until almost all of the liquid is gone. If necessary, reduce the heat to prevent scorching on the bottom. The oatmeal should be very creamy once it’s done. Remove the dish from heat and let it rest for 5 minutes. This will give oatmeal enough time to cool down and thicken up. 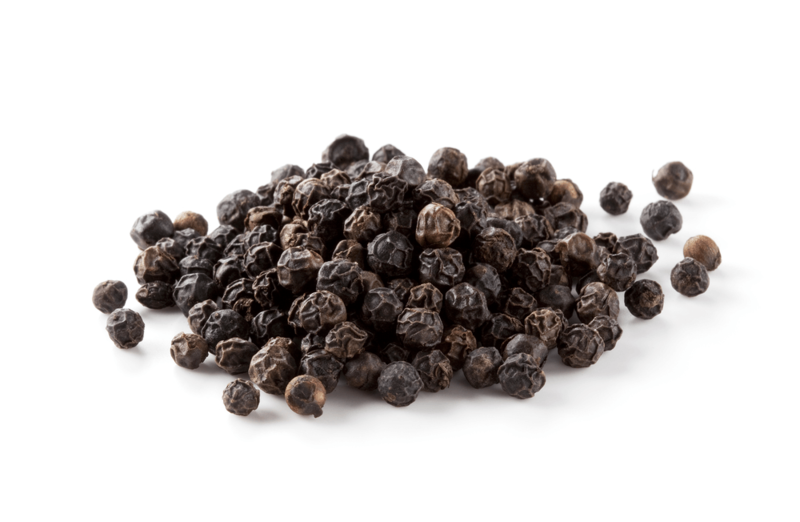 Season to taste with additional pepper, salt or any other spices you like. Stir in the mix-ins you’ve planned to use. Divide oatmeal into 4 equal portions and add the toppings. Let’s assume you’ve been following food trends carefully. If that is so, you must be obsessed with avocados. Anyone who can afford it surely is. Such glorious reputation that precedes this fruit is well deserved. It offers various tremendous health benefits, and most importantly for us, it is good for sleep too. 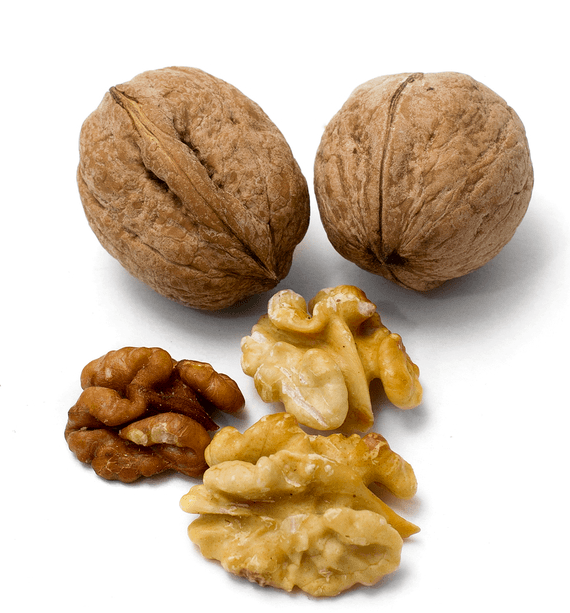 High amounts of unsaturated fat it contains, can increase serotonin levels and that way stimulate your brain to seek rest. 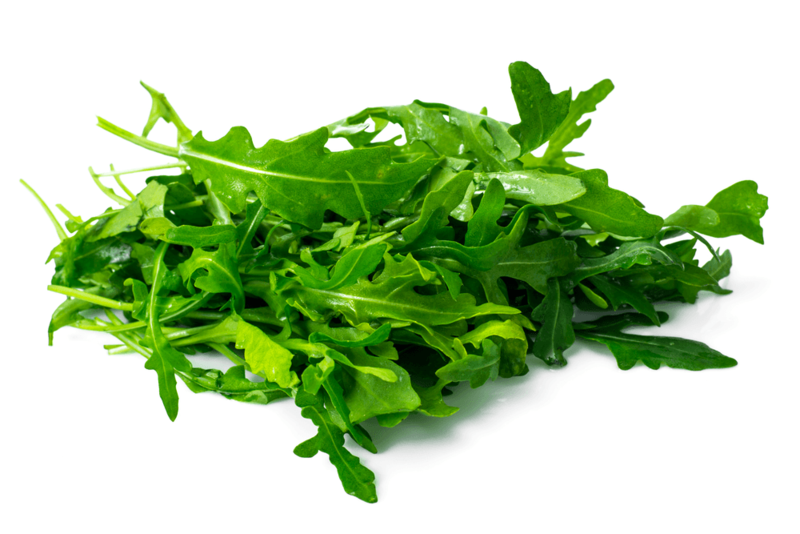 It is also rich in magnesium, vitamin B6, and tryptophan. On the other hand, in this dish, avocado is combined with edamame which is a health booster as well. Vitamins A and C, iron, calcium and sodium. Who could ask for more? Use a toaster to toast the bread. Take a small bowl, fill it with warm water and soak the edamame in it. Cut ½ cup of corn off the cob. Use a fork or potato masher to mash the edamame and then mash in the avocado. Add sliced scallions, corn, juice from the half lime, and a little bit of salt to the mixture. Taste the mixture and add more juice and salt if needed. 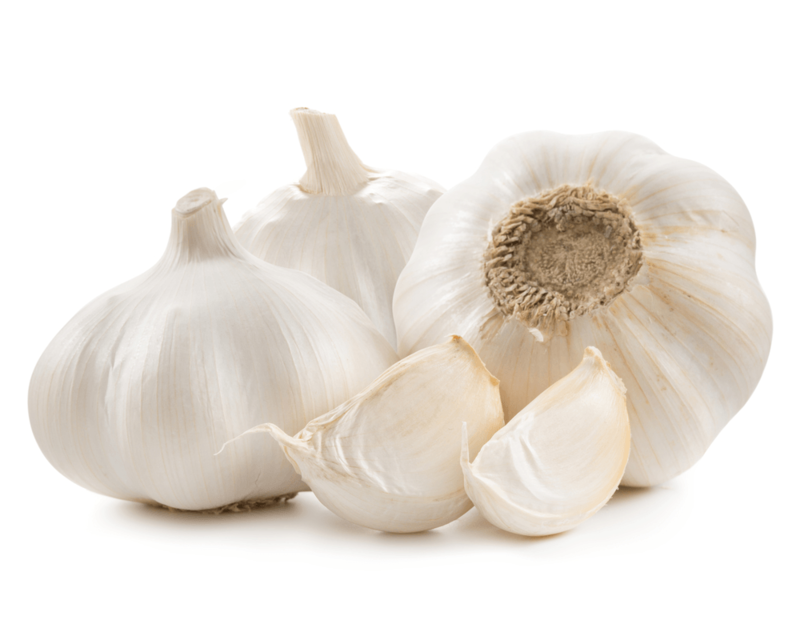 Once the toast is made, rub each piece with cut garlic clove. Then, spread the avocado mixture evenly on all four slices of toast. Drizzle each slice with olive oil and top it with crushed red pepper, tomato, hemp seeds, and cilantro. At last, add a sprinkle of salt or lime juice if you like and enjoy your meal. If anyone ever told you that you would find a regular chicken and rice recipe that your mother used to make every Sunday on this list, would you believe them? Probably not. Well, it turns out your mother knows a thing or two about sleep-inducing foods. 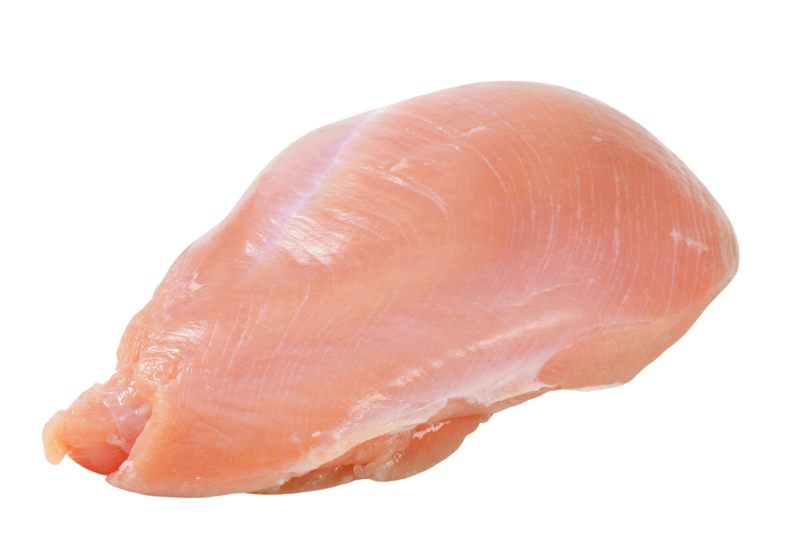 Chicken contains tryptophan and vitamin B6, while rice comes with tryptophan and melatonin. No wonder we crave a nap after lunch so badly. 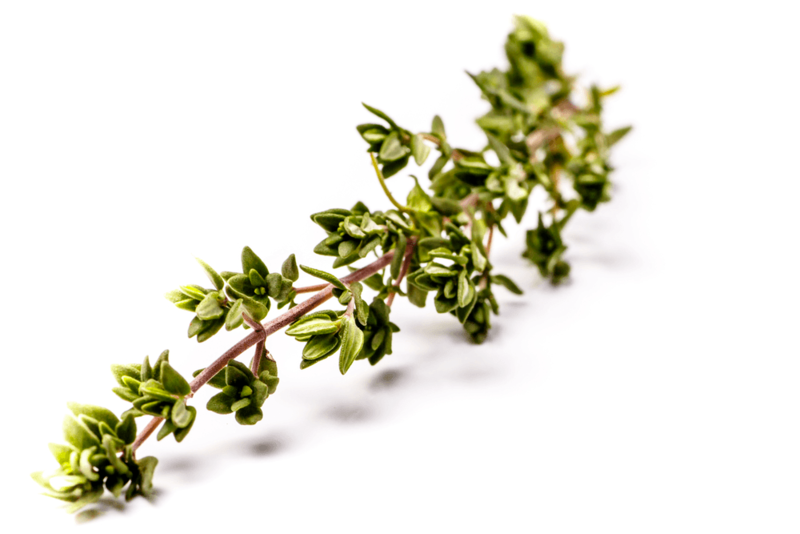 Also, thyme has been used for centuries as deep sleep inducer because of its gentle aroma. 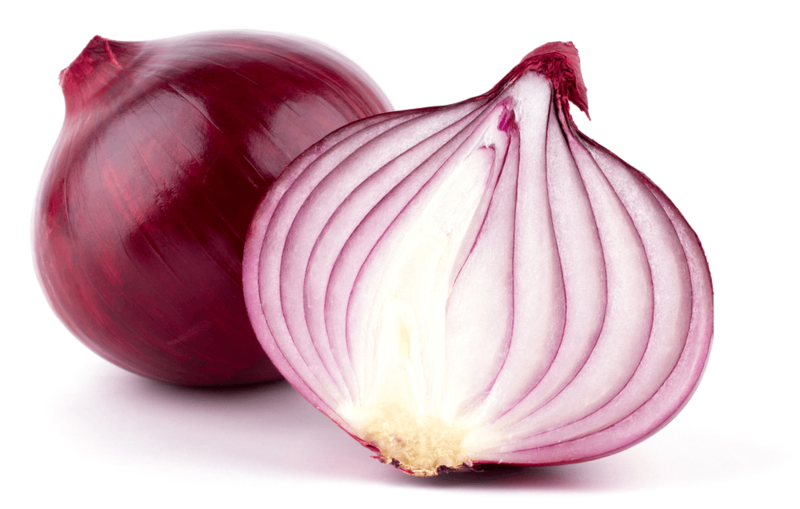 Prepare a baking dish and scatter onion and garlic around it. Place butter in the center. Bake garlic and onions for 15 minutes, but make sure to check them at 12 minutes and mix them if you notice some bits are browning more than they should. In the meantime, combine together the ingredients for the chicken rub. Sprinkle it on both sides of the meat. Remove the baking dish from the oven and add rice. Mix it all together. 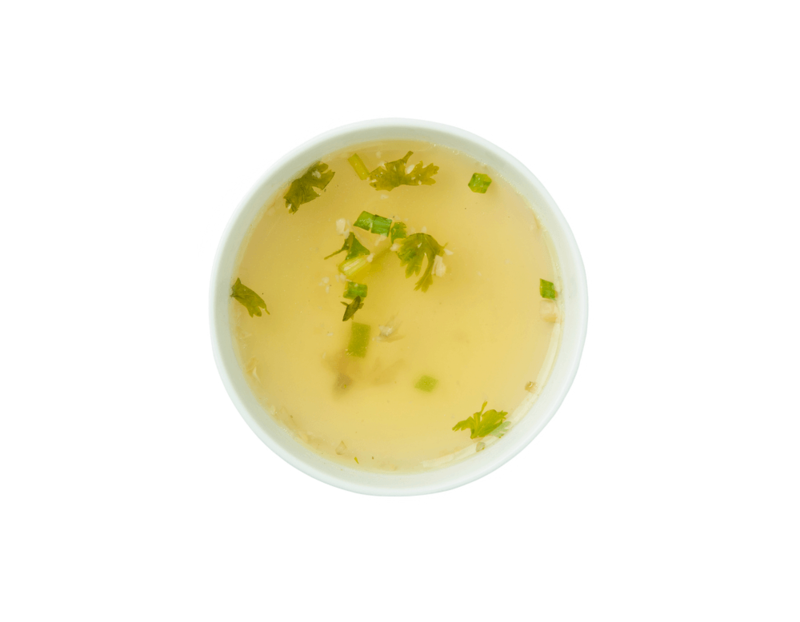 Place chicken on top of rice and pour chicken broth and water around it. Cover the baking dish with aluminum foil, and place it back in the oven for additional 35 minutes. Remove the foil and bake for 15 more minutes. Leave it to sit for 5 minutes, then remove the chicken and fluff the rice up. Enjoy your traditional lunch! Since the beginning, we’ve been talking how you should avoid heavy meals. So, how does the steak fit in here? Well, it does, if you eat it as a part of a healthy salad. Fortunately, beef has its role in sleep promotion. It is full of vitamin B6, which means it can help you with vitamin B6 deficiency which causes sleep disturbances and many other severe symptoms. At the same time, this salad includes numerous other ingredients that can help you sleep better and become healthier in general.